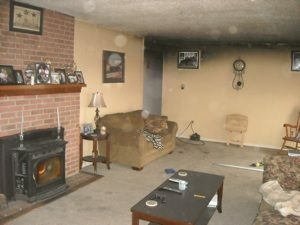 Restoring your surroundings from the ravages of fire and smoke takes a professionally trained staff and knowledge of the latest remediation techniques. Different surfaces require different treatments, and MasterDry’s technicians are well-versed in what works best. We effectively eliminate all unwanted smoke, fire, and odor damage. Our odor-removal techniques include utilizing an Ozone Machine and HEPA (High Efficiency Particulate Air) air scrubbing treatments. MasterDry also removes hard to reach soot residue and lingering odors with All Surface Cleanser and other industry recommended solutions. We will return your structure to a pre-loss condition, eliminating smoke odors and fire damage evidence. Fires can burn at over 3,600° F. That is hot enough to melt metal! This type of heat can cause irreparable damage if not addressed promptly. When a fire is extinguished before a structure becomes a total loss, many are left wondering what now? 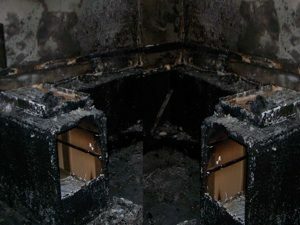 Here is the answer: call in a special fire damage restoration team who can make things right. 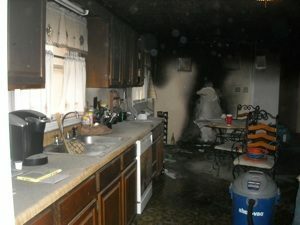 Though it seems simple, fire and smoke are complicated and you will need an expert to evaluate the situation. Smoke comes in four basic varieties. Wet Smoke is described as resulting from a low heat fire, dry Smoke results from a fast burning high temperature fire, protein smoke has an extreme pungent odor but is virtually invisible, and fuel oil soot smoke results from furnace currents. 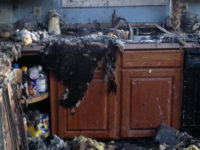 After you call in MasterDry, our professionals will evaluate the smoke and fire damage. 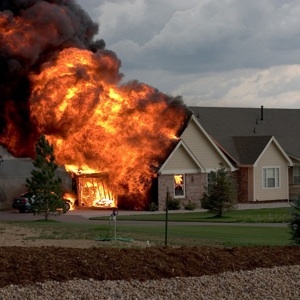 They will first target the type of smoke that has saturated your structure, which will help them determine the type of fire that has taken place and also to identify what type of restoration or replacement is needed. Many of these services are offered around the clock because there is no time to waste, so when disaster strikes, don't let the crispy remains of your home weigh you down. Call MasterDry at 877-65-FLOOD to come and save your home. Master Dry is a IICRC certified fire and smoke cleaning Services Company. Restoration technicians that are members of the IICRC are held to the highest standards and provide total structural cleaning. Regardless of the extent of fire damage induced by a tragic accident or natural disaster, members of the IICRC are trained to handle salvageable personal items of endearment, and have the ability to efficiently restore these goods. Whether it's an heirloom rug from the orient, or a fine leather couch, Master Dry has a dependable service that will be sensitive to your possessions, as well as the sentiments of your family or close-ones during this trying time. Just call MasterDry at 877-653-5663 to get started right away.